The rough, textured face of French Country Limestone provides a bold, classic look that replicates natural beauty of limestone. Individual stone sizes range from heights of 4” to 7” and lengths of 4” to 12”. 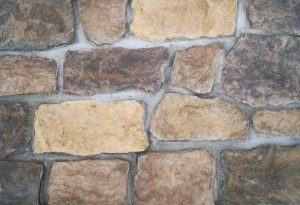 This handsome manufactured stone is available in four complementary shapes and colors.